Chapterhouse Theatre Company complete their open-air theatre programme in Kirklees by presenting two classics – The Secret Garden and The Jungle Book – both loved by children and adults alike. The Secret Garden is the enchanting story of young Mary Lennox unlocking the mystery of the secret garden will be brought alive with music, song and beautiful woodland puppet creatures. The play will be performed in the garden of Red House Museum, Oxford Road, Gomersal, on Tuesday, 4 August 2015. 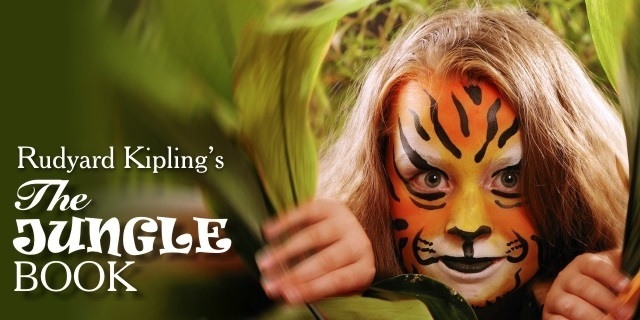 Then, on Thursday, 13 August 2015, you can join Mowgli in his adventures with Baloo the bear, Bagheera the panther and some very mischievous monkeys when the theatre company perform The Jungle Book in the walled garden at Oakwell Hall, Nutter Lane, Birstall. Children are invited to come dressed in their favourite animal costume and join the jungle parade during the interval. Times and ticket prices are the same for both shows. The performances start at 7.30pm with the gardens being open from 6pm for viewing and picnics (patrons are requested to bring rugs and low-backed seats only, no tables). Tickets are:- adult £14, senior citizen £12, children and students £10, family tickets £42. Tickets can be booked by contacting the appropriate museum – Red House on 01274 335056 or Oakwell Hall on 01924 326246.